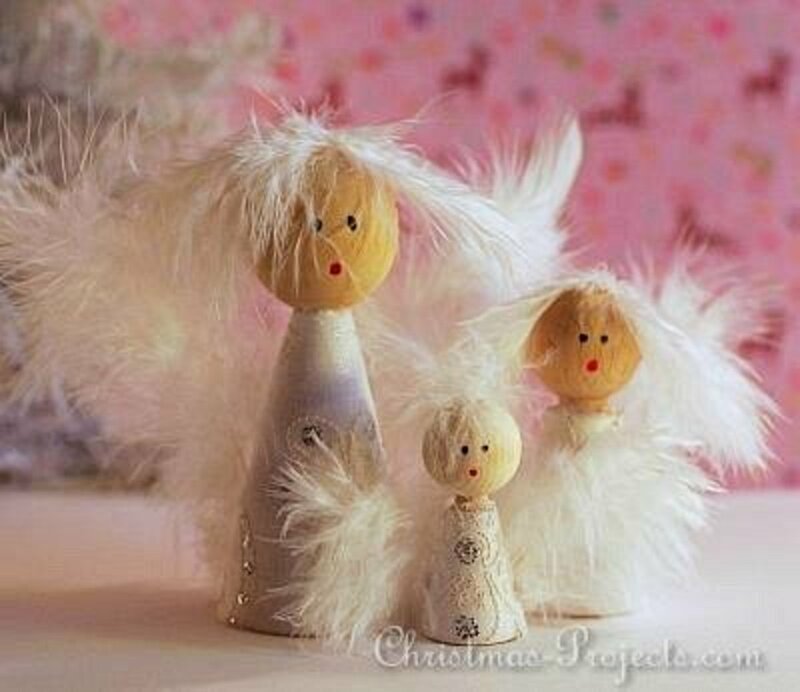 Angel crafts aren't exclusively a Christmas craft, even though they are a big part of decorating for Christmas. You'll love these ideas. 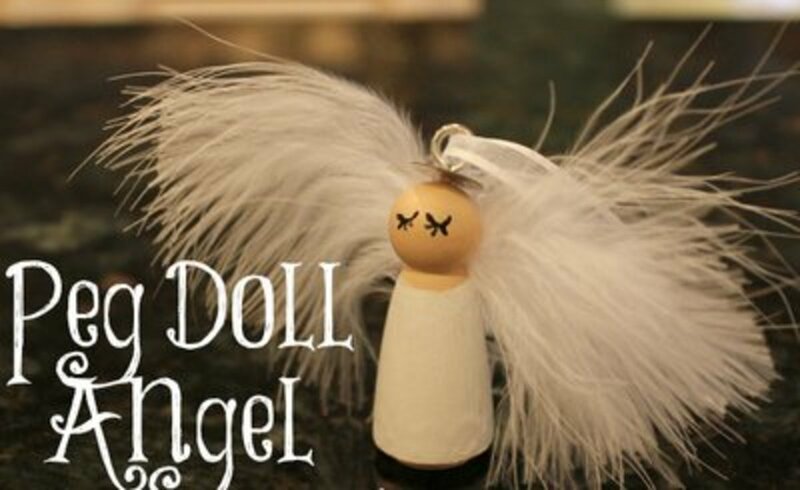 Angel crafts aren't exclusively a Christmas craft, even though they are a big part of decorating for Christmas. 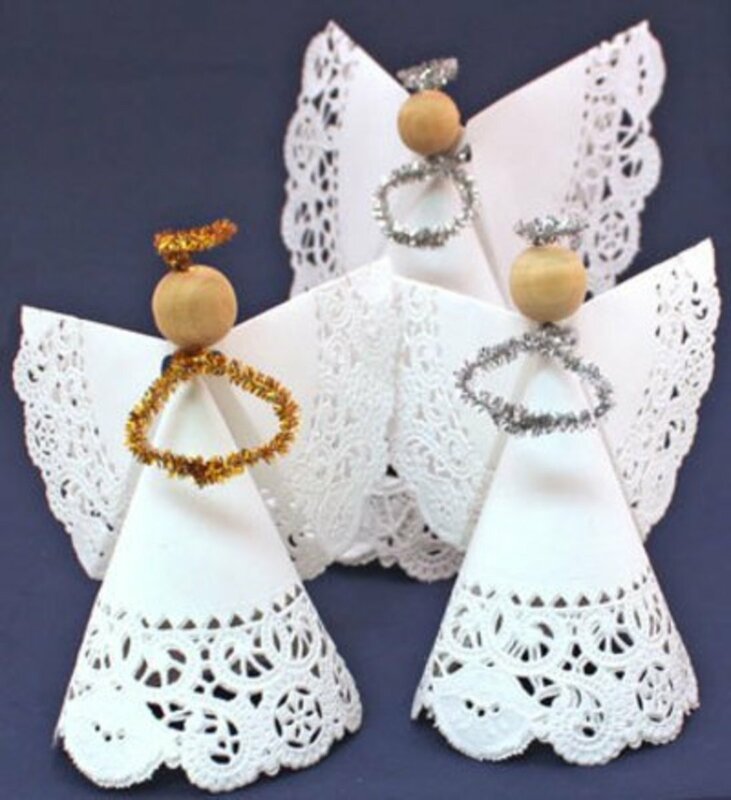 Crafters love to make angels and are always looking for new ideas for crafting them. 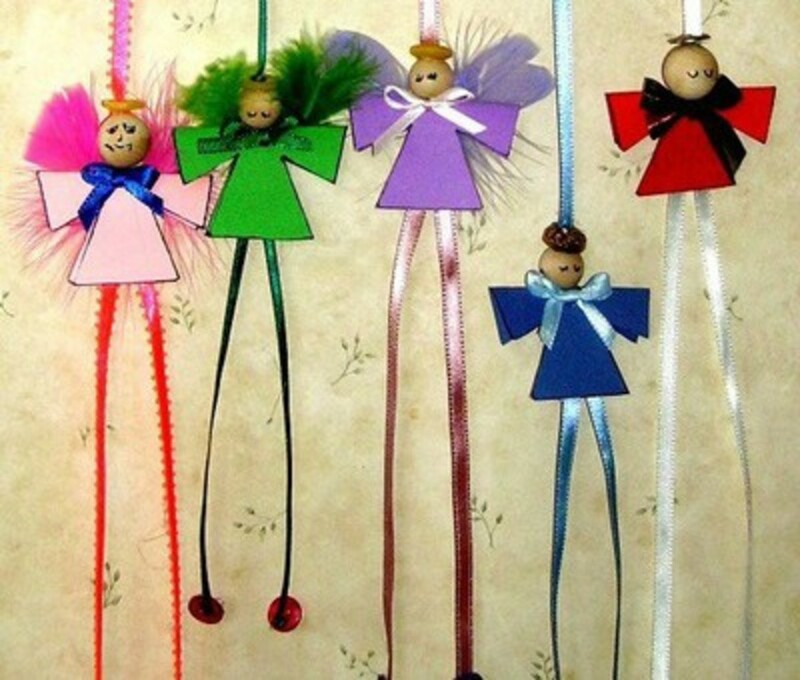 If you enjoy doing angel crafts, you'll like what you find in this article. 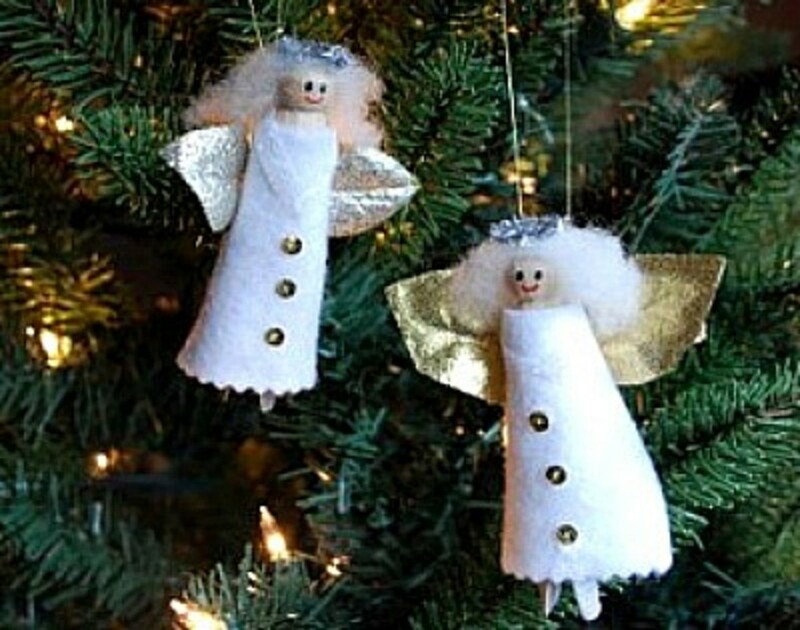 I've searched the web to find great angel crafts that show a picture of the craft and also give instructions on how to make the angel craft. In this article you'll see a picture of the craft and also the name and address of the site that features the angel craft. When you click on the site name you'll be taken directly to the page showing the directions for the angel craft. I'm sure you'll find some projects here that you'll want to make. 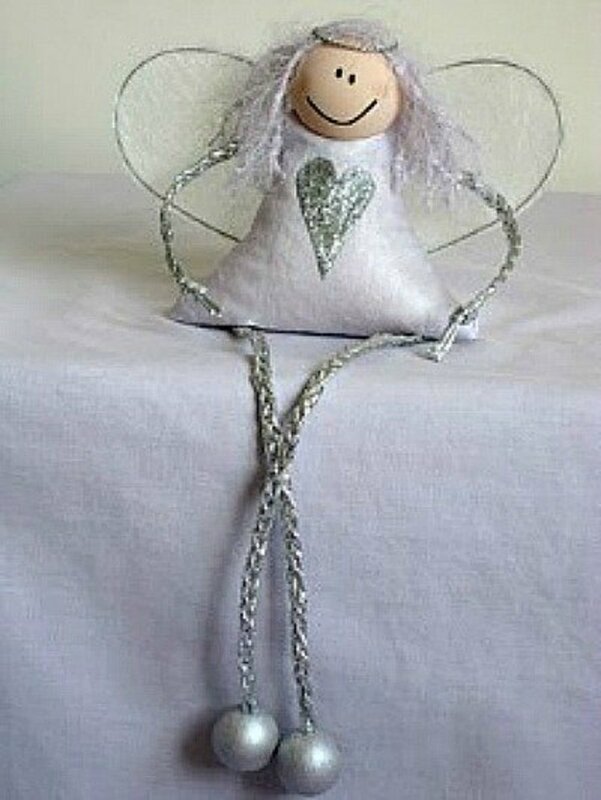 This is so cute, an angel made with a peg and feathers. 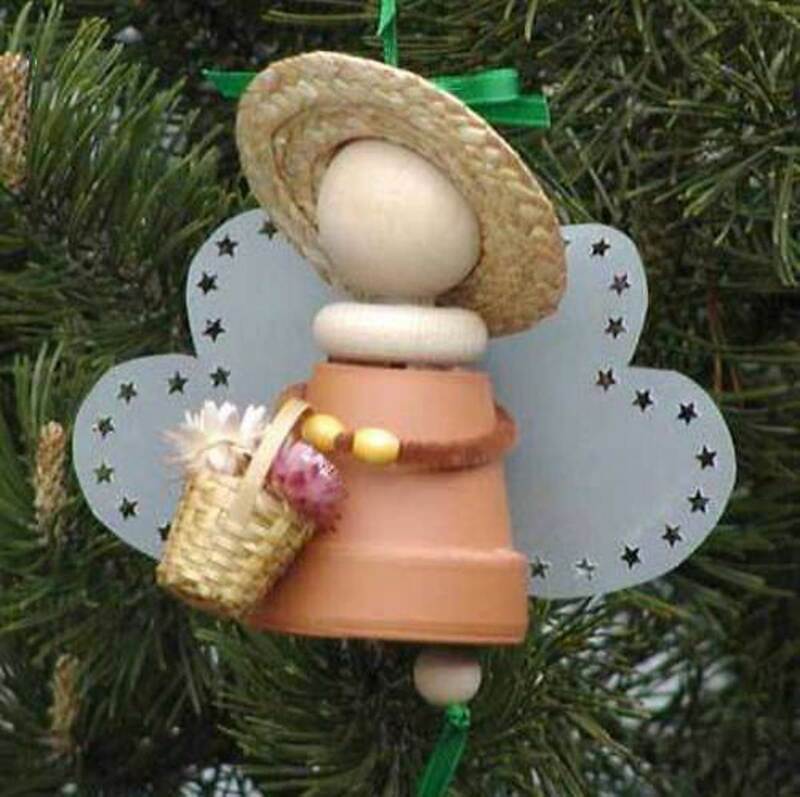 You can find the instructions for making this peg angel, go to Uncommon DESIGNS. 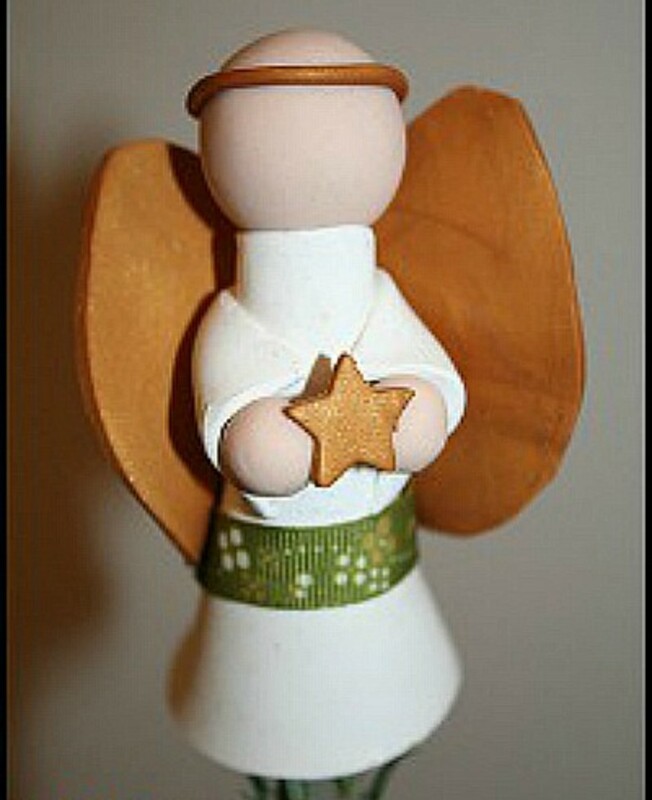 I love the simplicity of this angel ornament. I can imagine a tree filled with these gorgeous angels. The instructions can be found at Ribbons & Glue. Outstanding project. 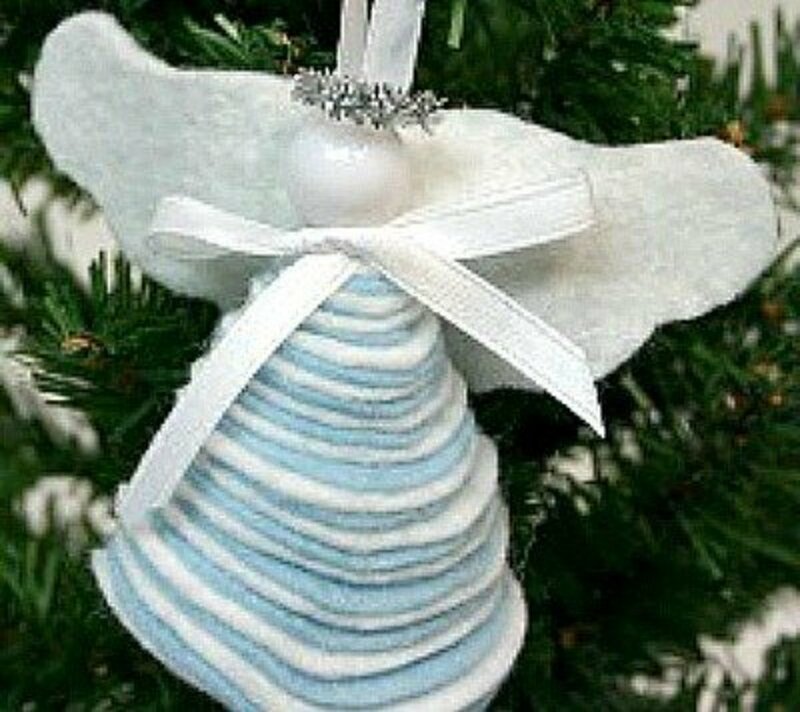 You'll find the tutorial for making these inexpensive and unique angel ornaments at My Craftchens. 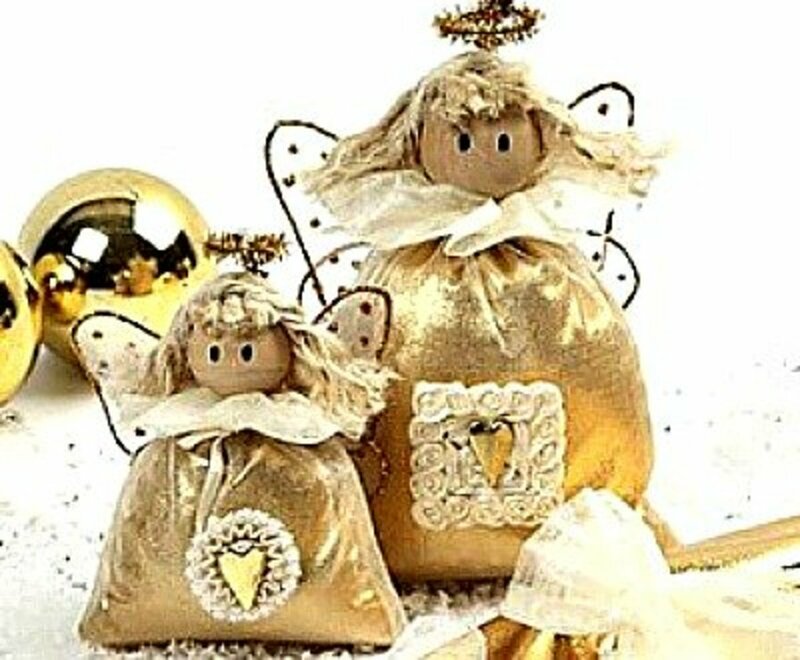 These little angel ornaments are so sweet and could be used as favors for a baby or bridal shower, as well as for any Christmas occasion. You'll find the easy to follow tutorial for making these little angels at Sunshine and HURRICANES. Imagine all the ways that you can make these little angels, different colors, different designs, using glitter or beads. Think about how changing the colors of the angels and different cords for the legs will change the looks of this project. 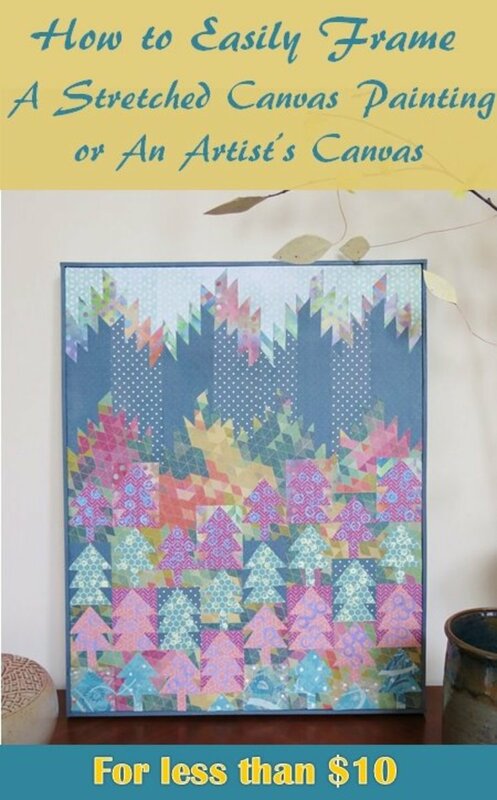 Find the directions and patterns for the "Angels Among Us" on the Kids & Glitter site. The ribbon legs are longer and end with beads, which you don't see in this photo. Also hanging from an "Angels Among Us" sign. 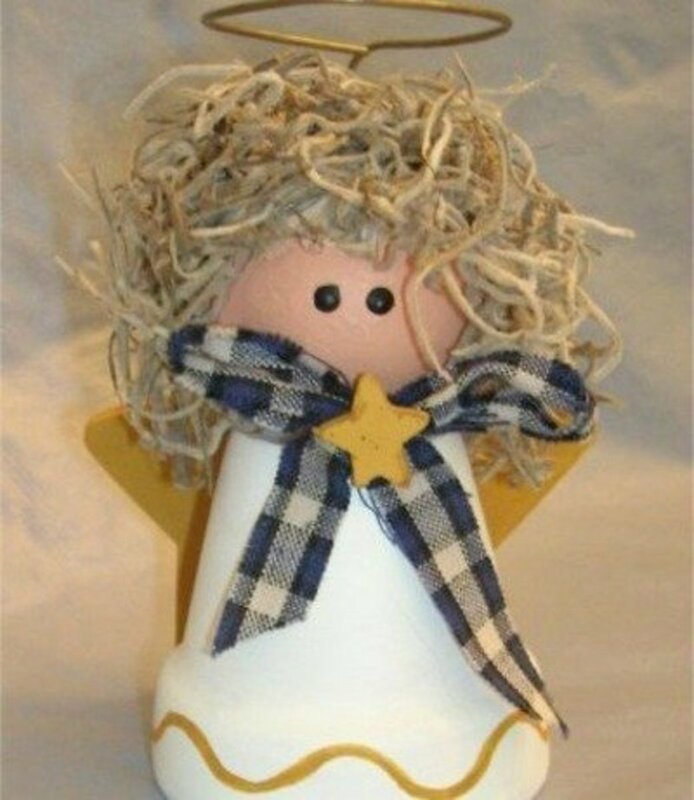 A cute, inexpensive angel to make to decorate your home or office for Christmas. For the instructions to make this little angel, go to freecrafts. 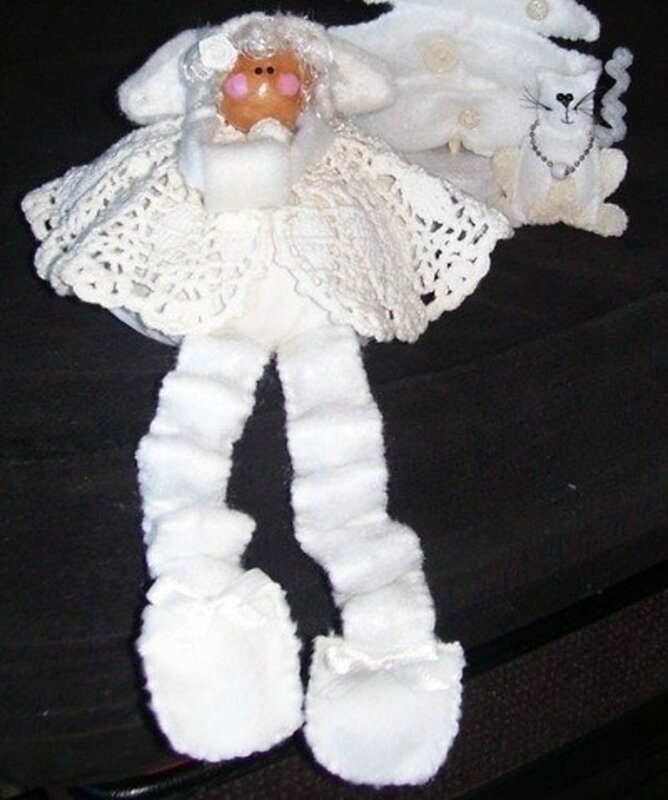 The instructions for this particular angel are found on the thriftyfun site. The directions for making the tree and cat are also included. 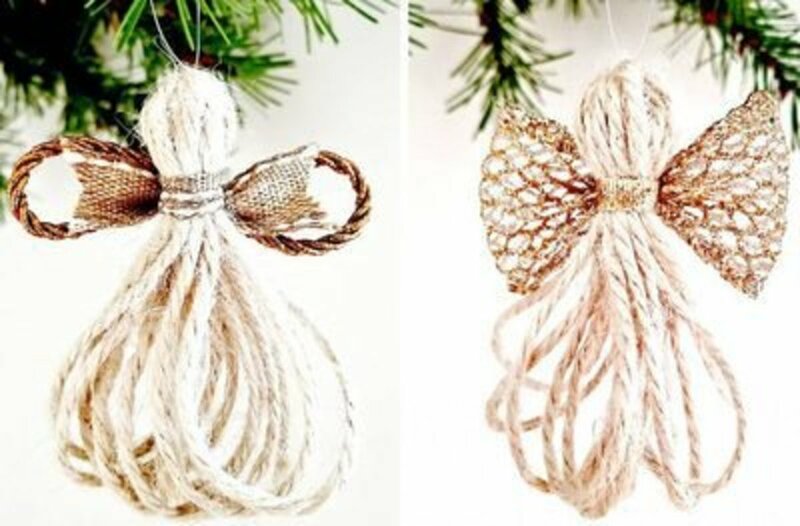 Make lots of these super easy, and inexpensive to make angels for your tree, or string them on a pretty ribbon to make a garland. Find the instructions for making the accordion fold angels at funEZcrafts. An easy craft, but such great results. 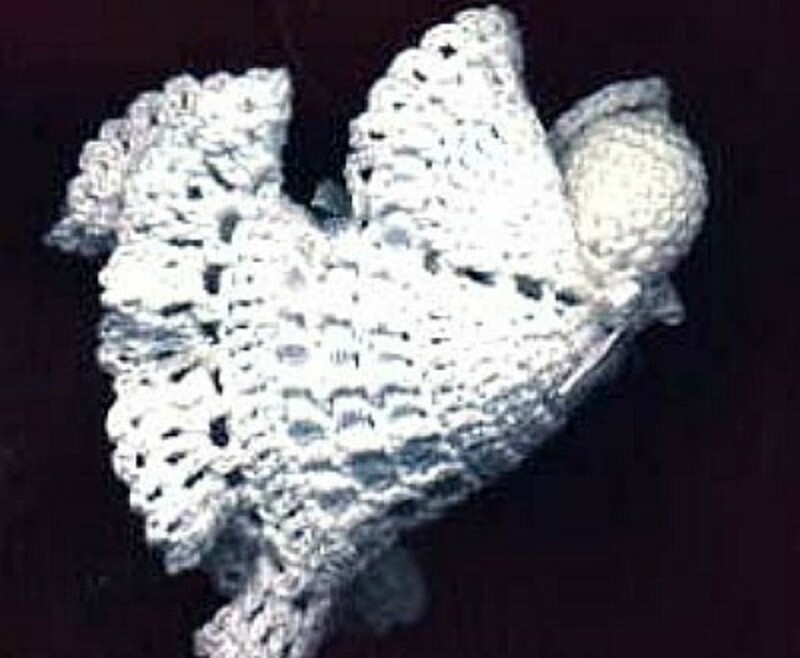 For the directions to make this muslin angel, go to the craftown.com site. 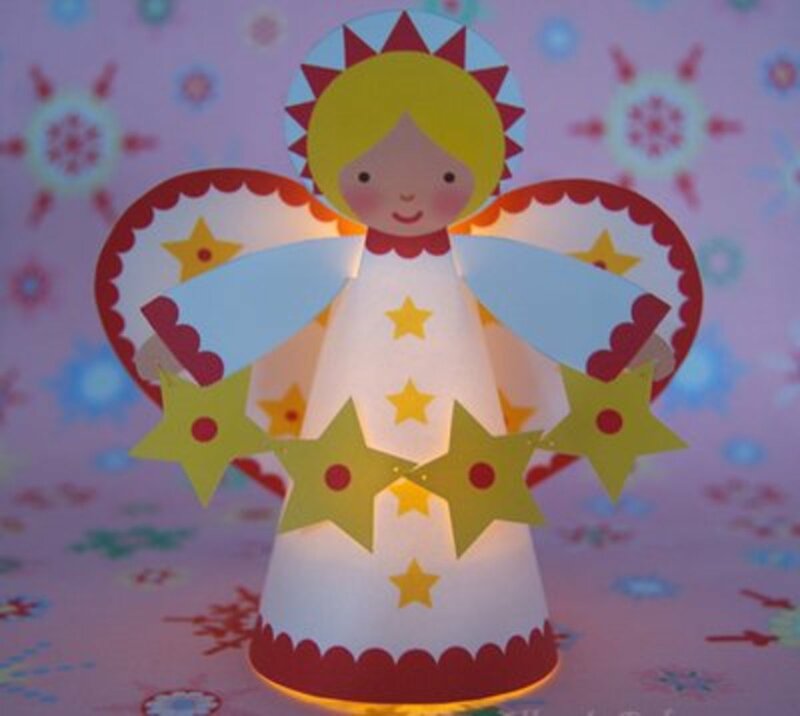 Who wouldn't want a cute little night light angel like this. You can find out how to make it by going to Craft At Home. These little angels are attached to nametags in the directions, but I think a thin gold string could be attached to them and they could be hung as ornaments. To find the directions, go to SUZY'S arsty-crafty. 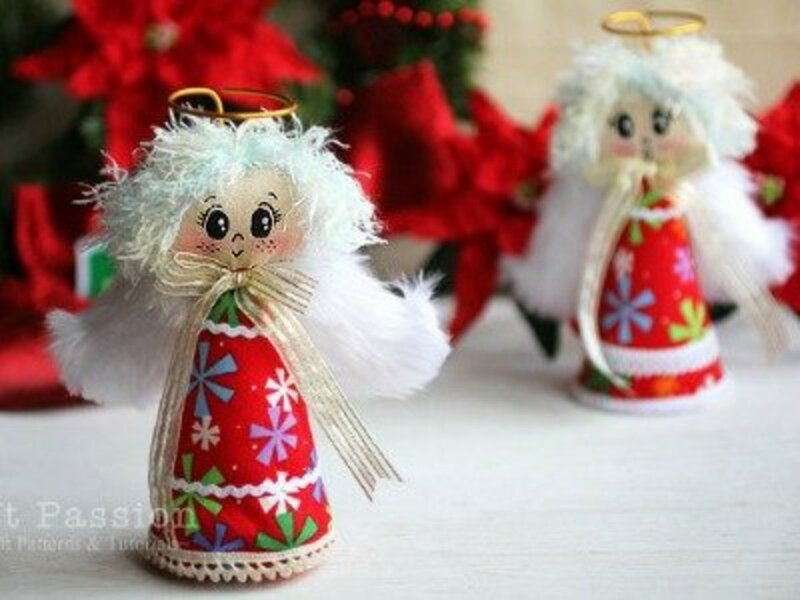 These homespun style angels are so simple and beautiful that you'll want to make them for sure. Go to Sweet Tidings for the instructions and patterns. With a little imagination we'll be able to think up all sorts of uses for this little angel. You'll find the directions at Auntie Kara's Crafts. 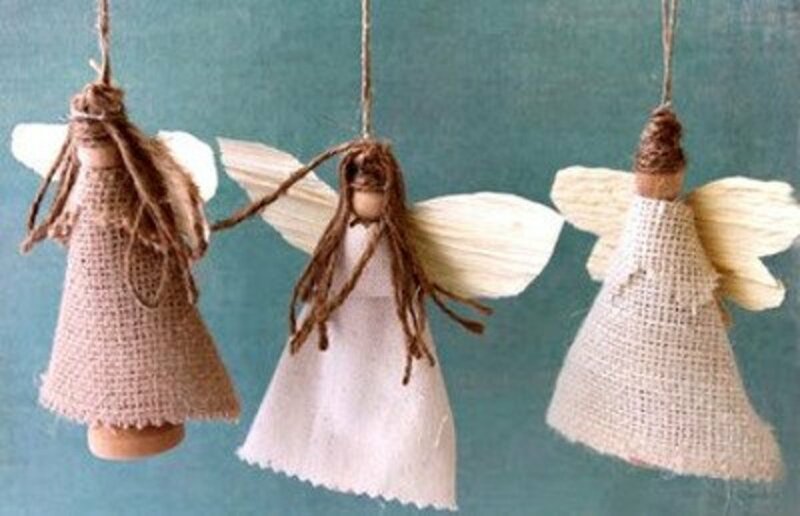 Make a vintage style angel with simple supplies. The instructions s can be found at Fun EZ Crafts. It's hard to believe this little angel is made with a wine cork. All the instructions can be found at Craftideas.info. 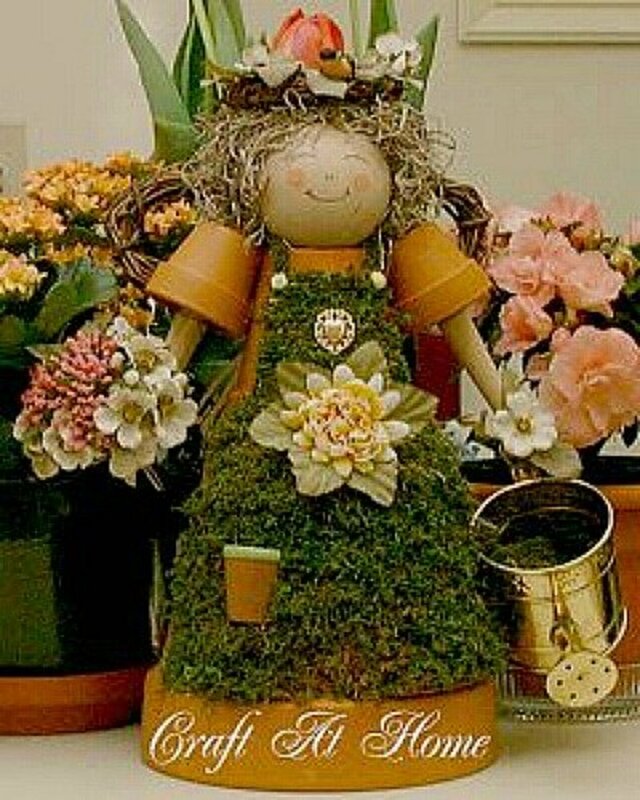 Display this little garden angel on your deck or patio. 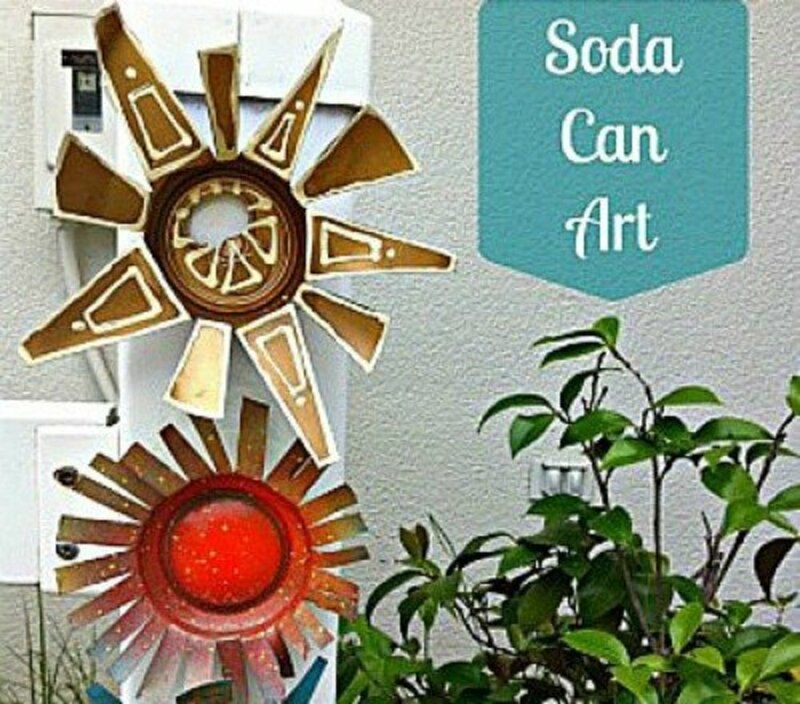 Find directions for making it at Craft At Home. I'm trying to figure out what it is about this angel that makes it so appealing to me. If it's the long, folk art appearance of the angel or is it the cute wire legs? Any which way, I'm sure there are angels like this in my future. The tutorial for making this angel can be found at Dutch Blue. 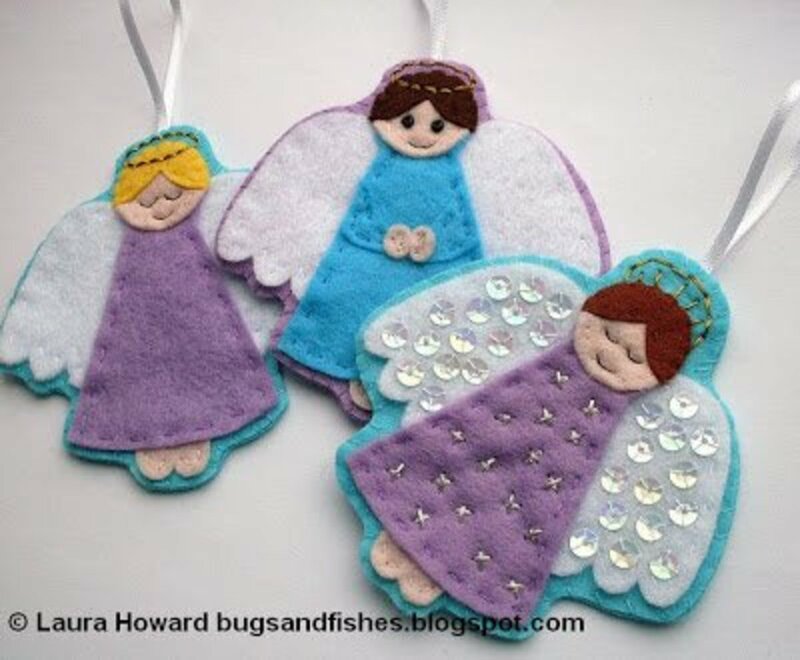 You won't believe how easy these little felt angels are to make until you read the instructions given at Bugs and Fishes. I really love these super easy projects, especially if I need to make a large number of them, or if I'm doing them with a classroom of kids. Paper twist is an easy crafting product to use and this is just one example of the beautiful things that can be made with it. 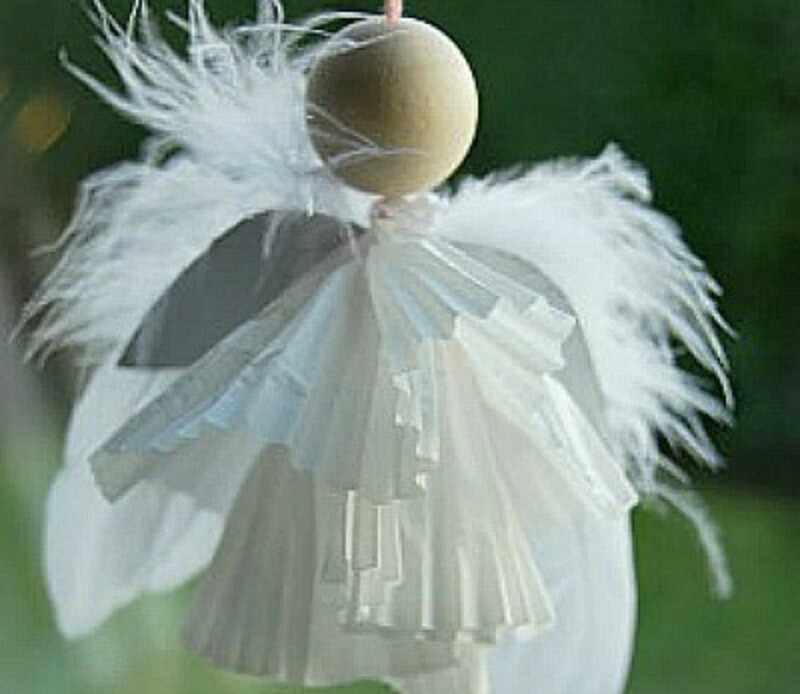 The tutorial for making this paper twist angel is found at Christmas-Projects.com. 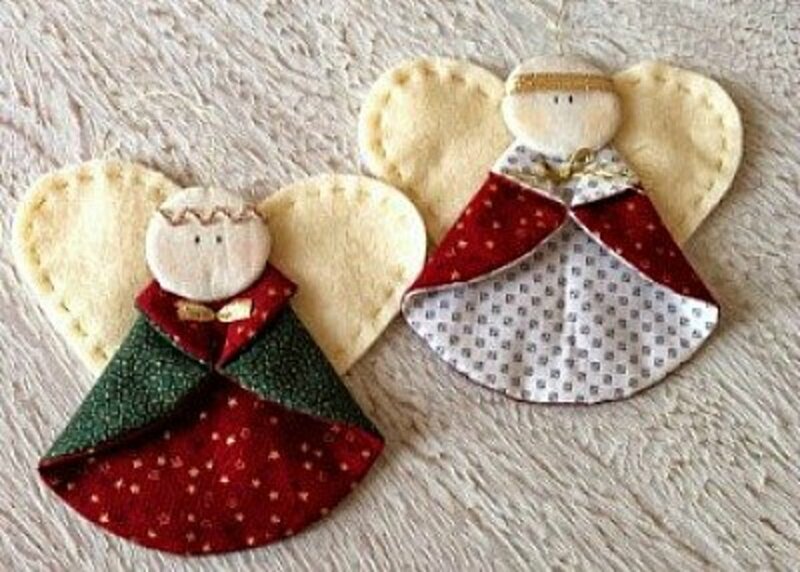 These are such cute fabric angels. 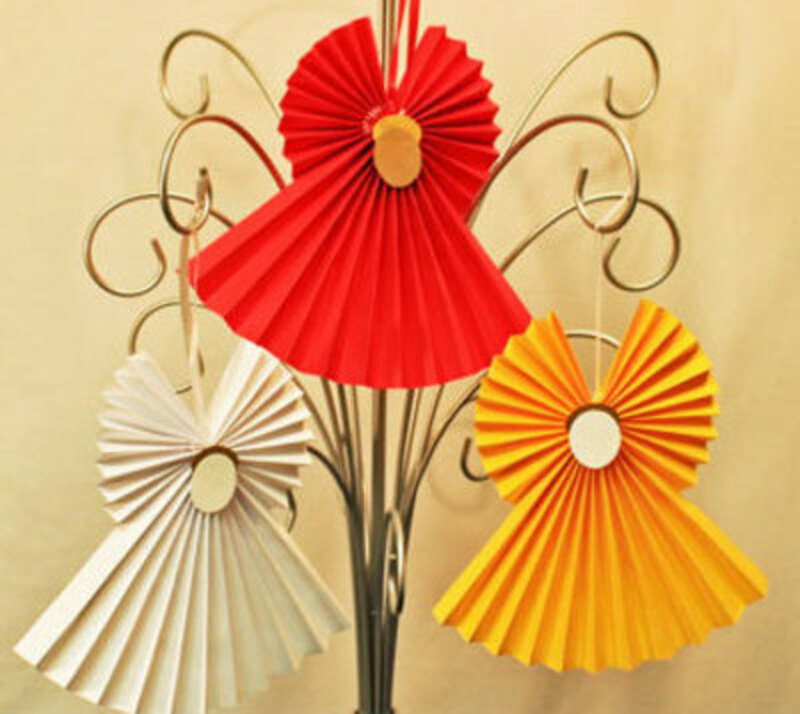 Imagine using them as ornaments or as an addition to a centerpiece or as place card holders. You'll think of lots of ways to use these little angels. Find the instructions at Craft Passion. 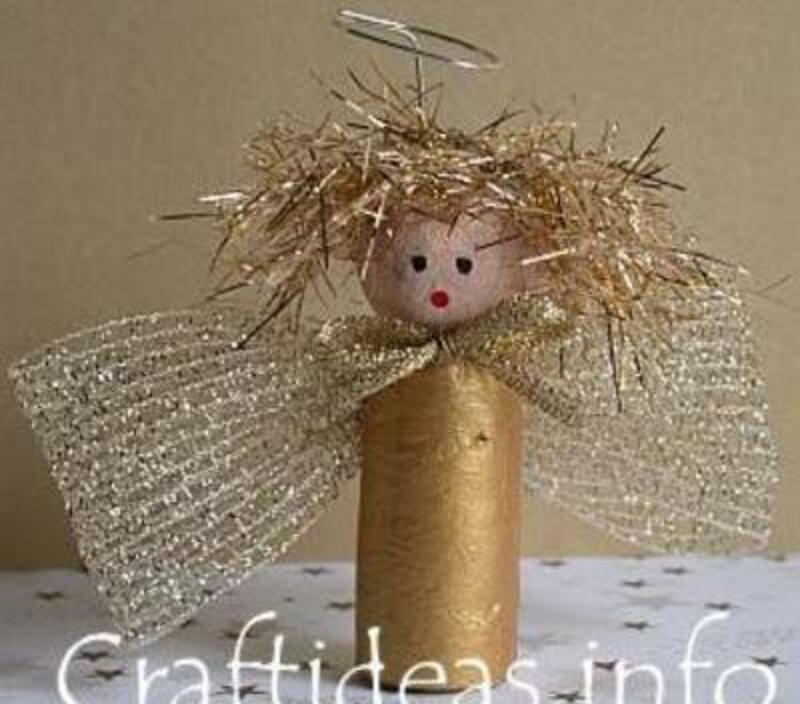 I know that this is one of the angel crafts that I'll be making this year. You'll find the directions for these little beauties at Christmas-Projects.com. 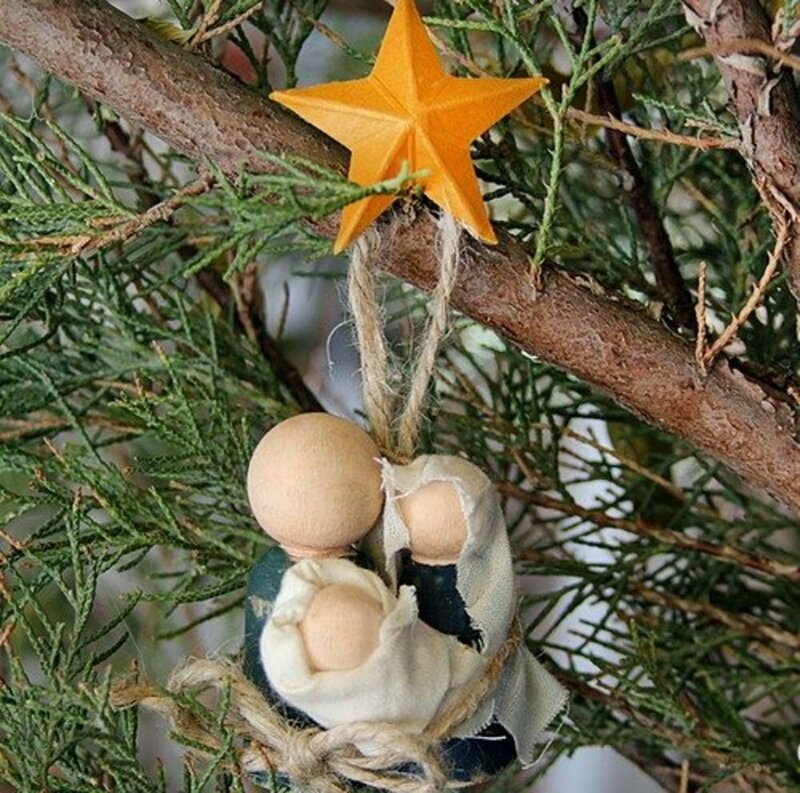 These little angels will make outstanding tree ornaments, but also additions to a centerpiece. 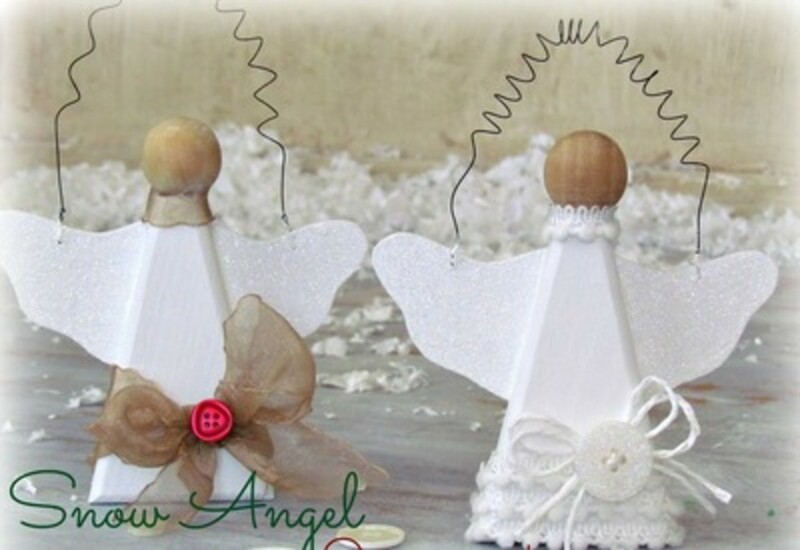 Make a couple of different larger angels to set on the mantel. The step-by-step illustrated directions make it particularly easy to understand this project. 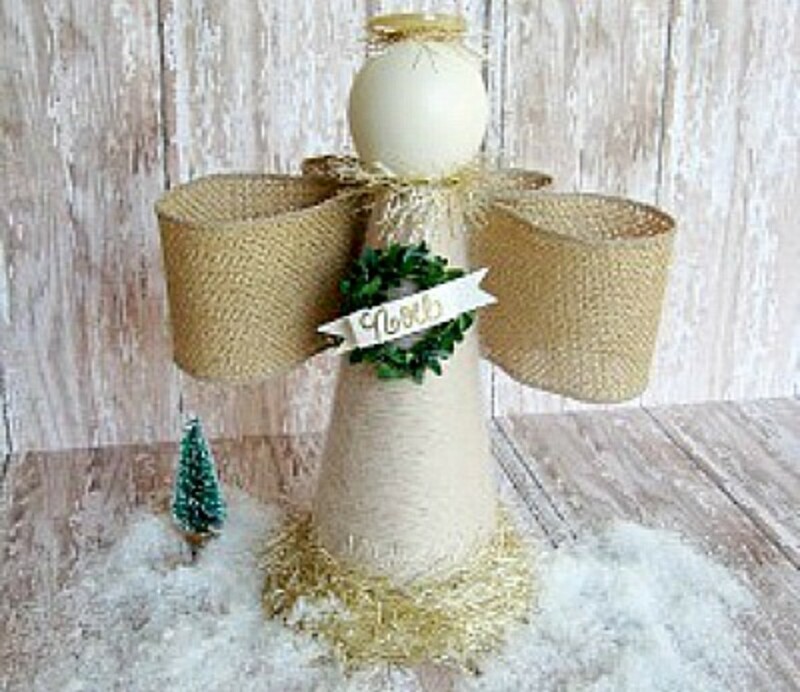 To make the Clothespin Angel, go to craftown.com. 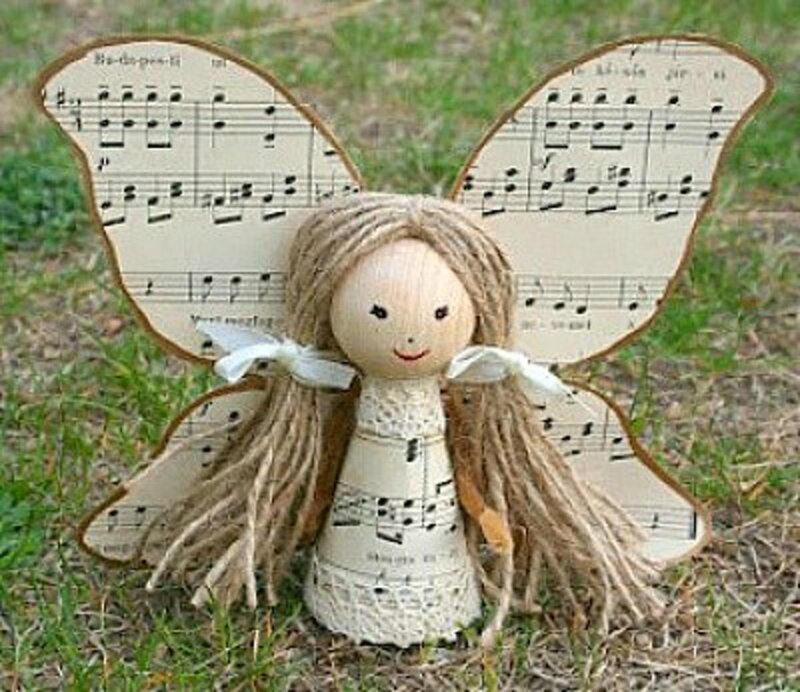 I love this little fairy angel with it's music sheet wings and gown. The directions for making this angel is found at Kifli es levendula. The pictures make the instructions very understandable. The supplies list calls for canvas, but it looks to me like an unbleached muslin would work. 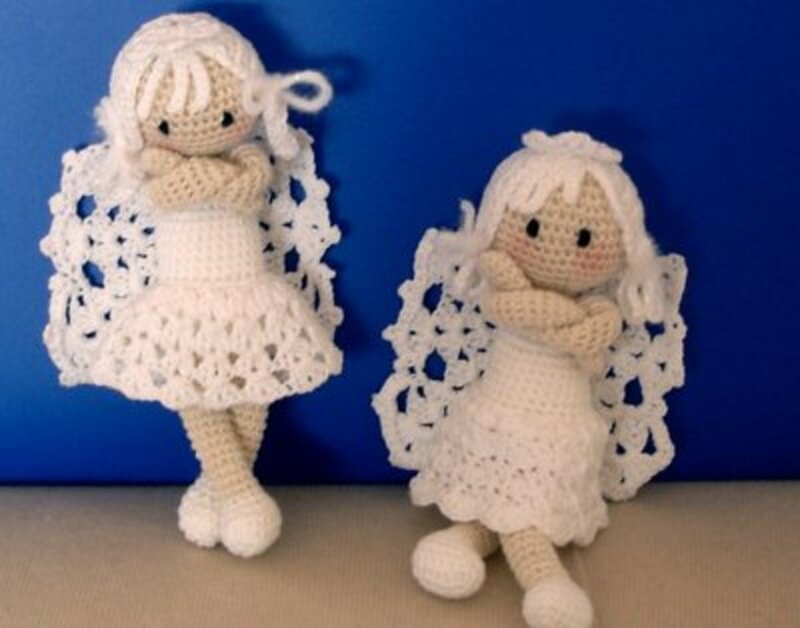 To find the patterns and directions for these cute little angels, go to funEZcrafts. 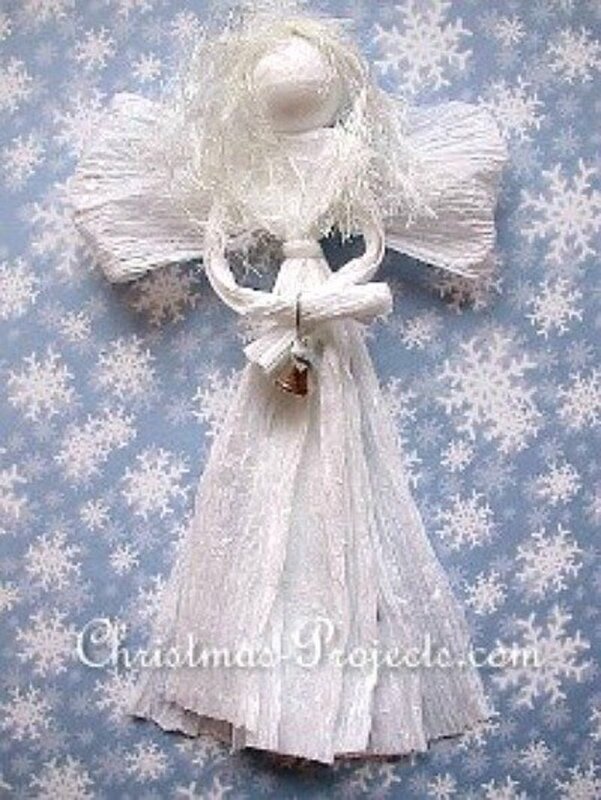 This is a very simple, but elegant angel that I would use in décor any time of year. 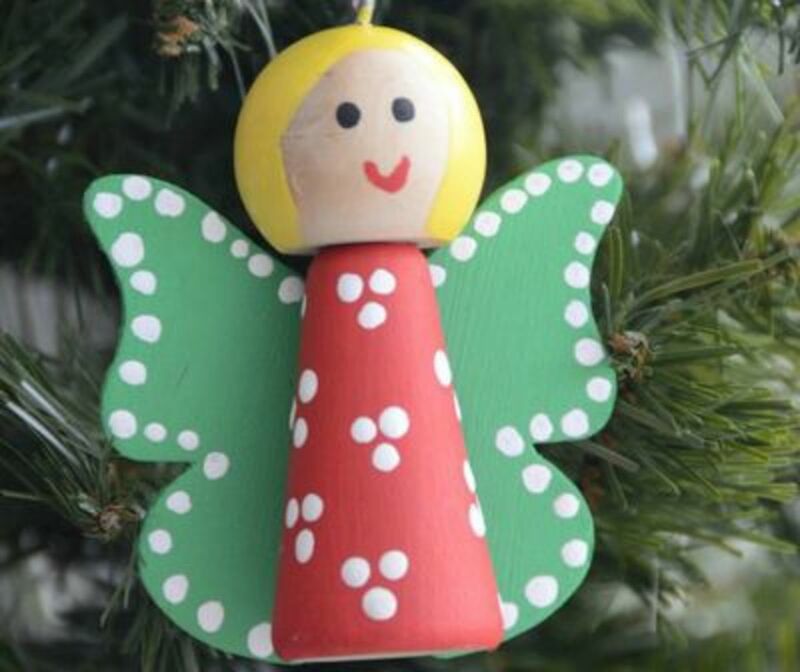 Find the instructions for making this beautiful angel at POSITIVELY SPLENDID. You'll love making beautiful silver angels like the one shown above. 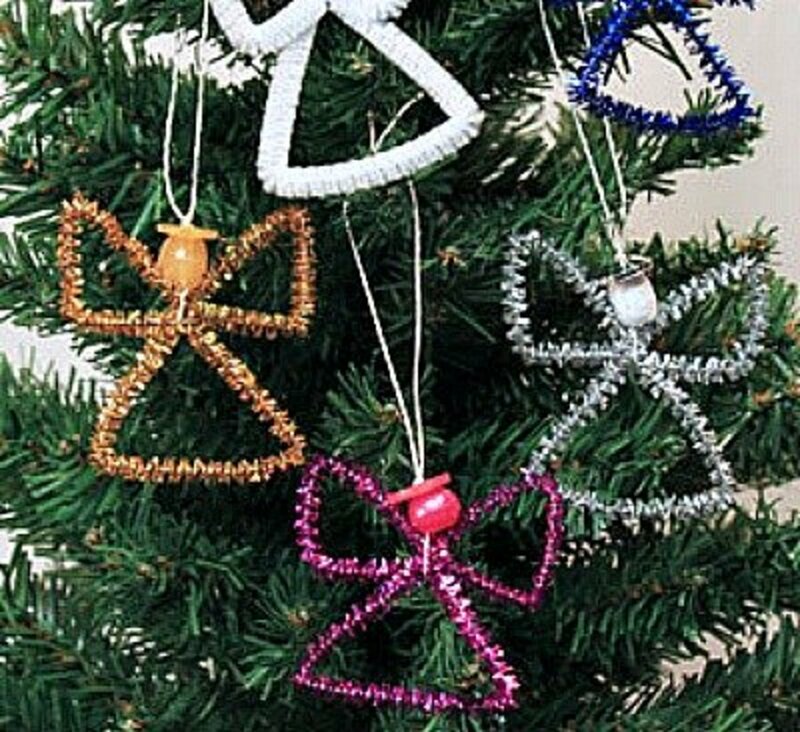 Use the angels as ornaments or in centerpieces and table decorations. Go to and then I Craft for the instructions. 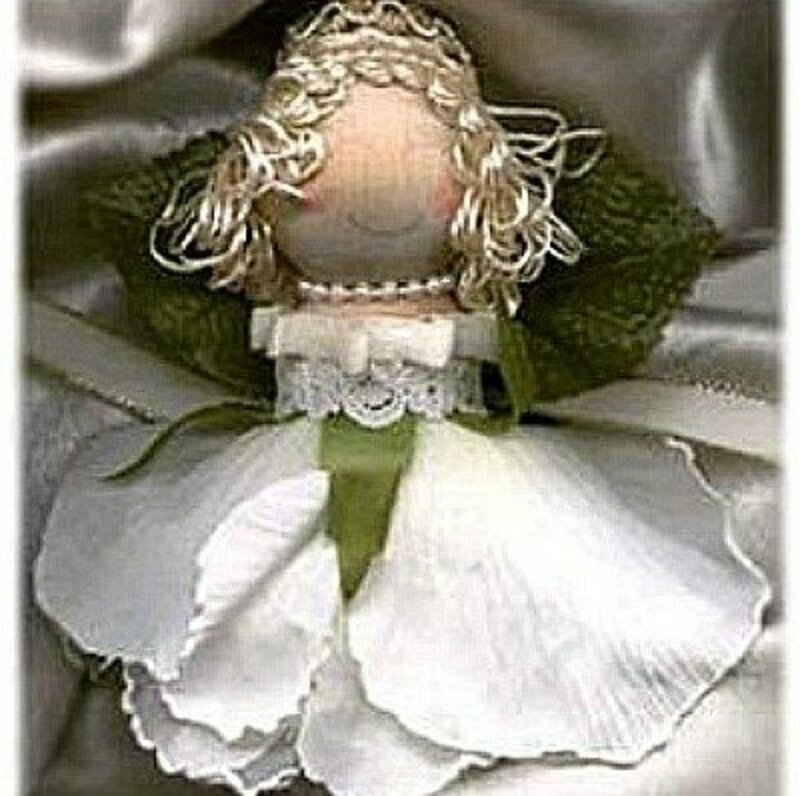 This little rose flower angel is so cute that when you make one, you'll want to make many more. Make these rose angels following the instructions at AllFreeCrafts.com. 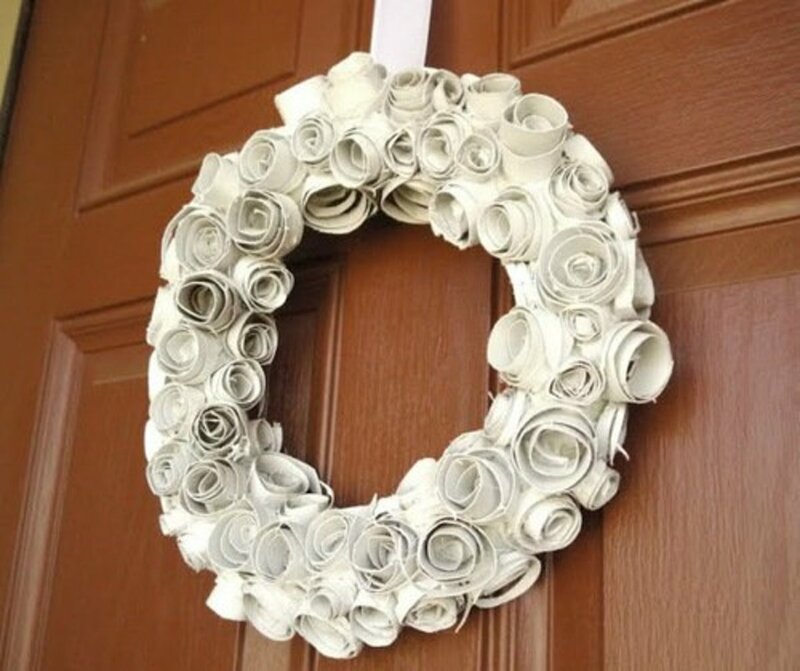 Imagine all the different color roses you can use for this project. Even floodlights burn out in time and if you save them for future crafts, here is a beautiful way to reuse the light. 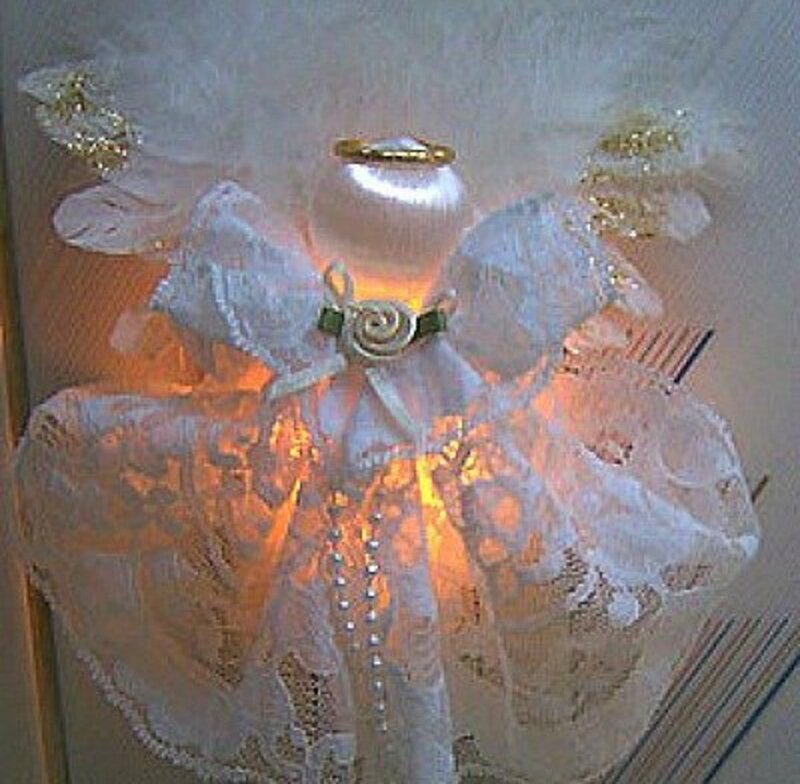 Learn how to make this floodlight angel by following the instructions on Craft goodies. 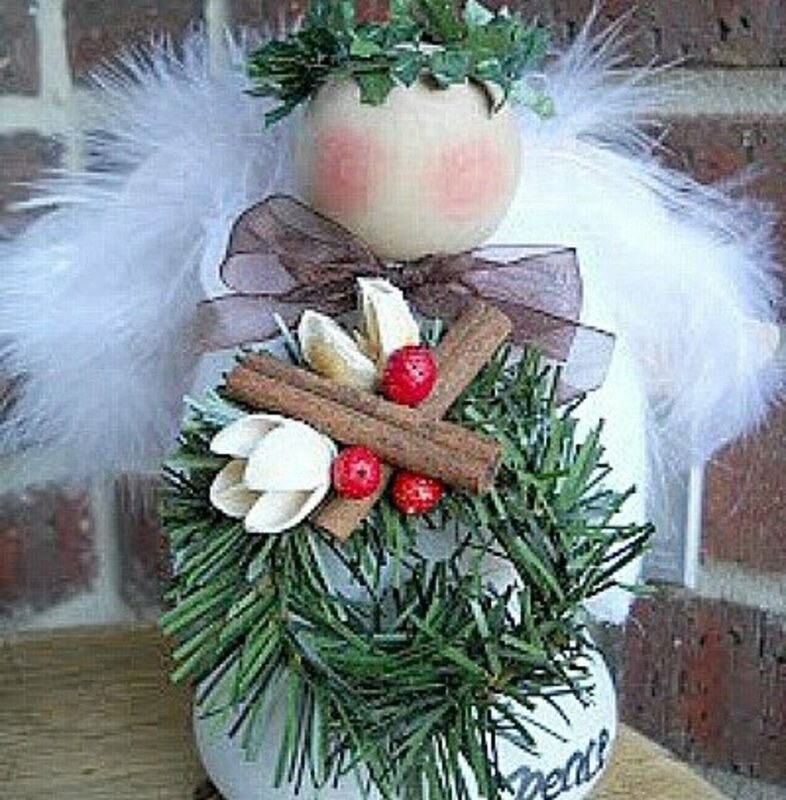 A beautiful way to greet your holiday guests is with this little angel. Find the directions by going to the Molly and Mama site. Make your angel any size you want by changing the sizes of the pattern pieces. 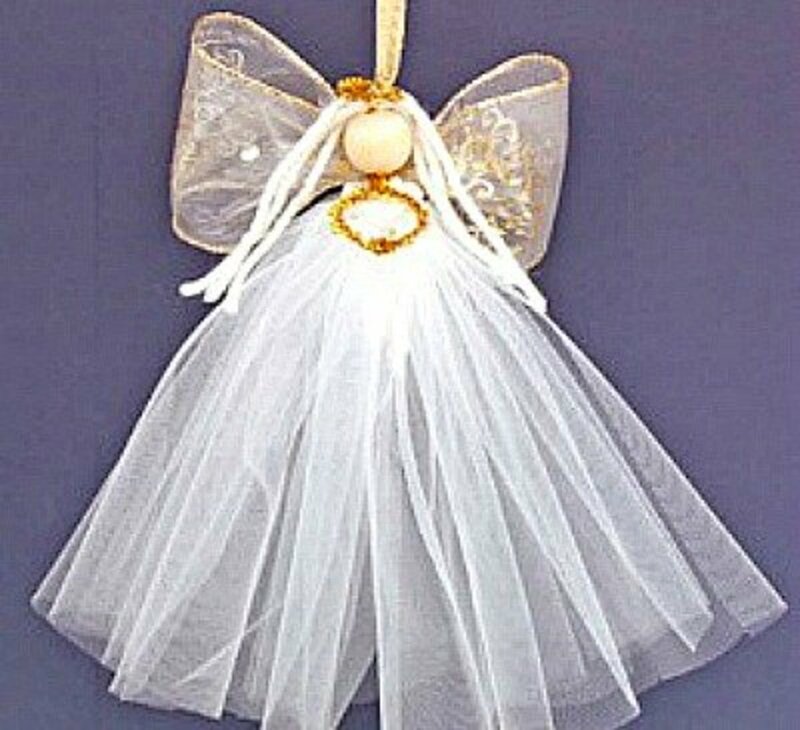 To make your angel a door hanger, add a hanger ribbon that will fit over a door knob. 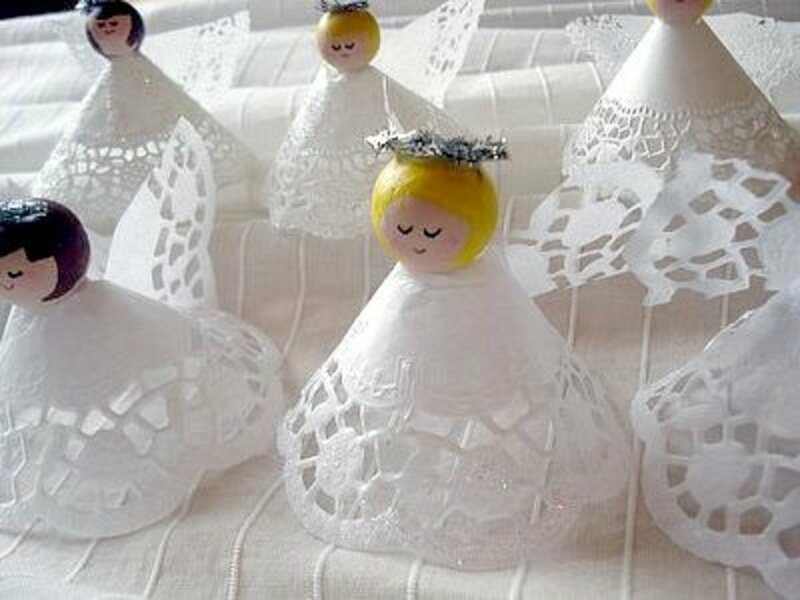 Beautiful doily angels to hang on your tree, use as name cards, or to enhance a centerpiece. The place to find the directions, is on the sycamore stirrings site. 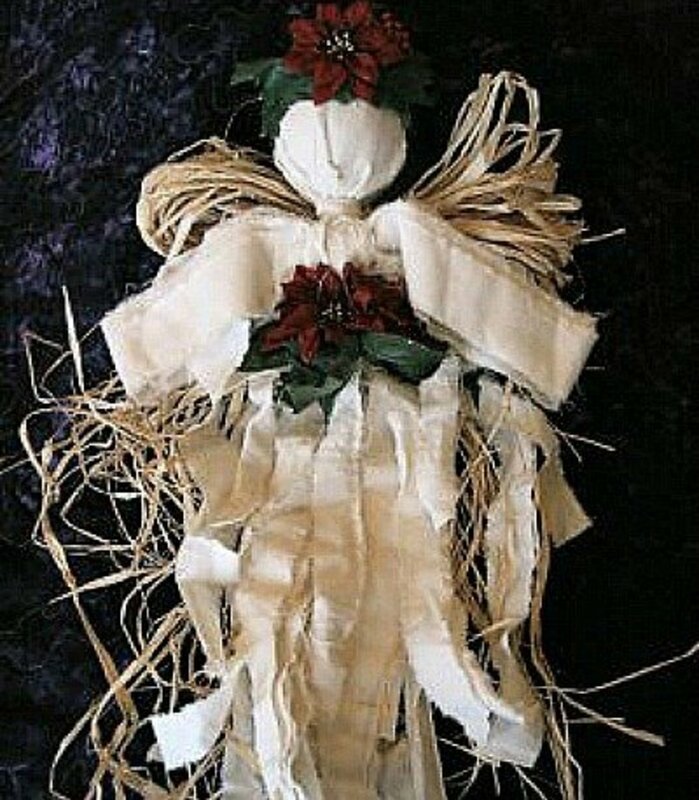 Imagine all the different angels that you can make with the leftover scraps of fabric that you have on hand. 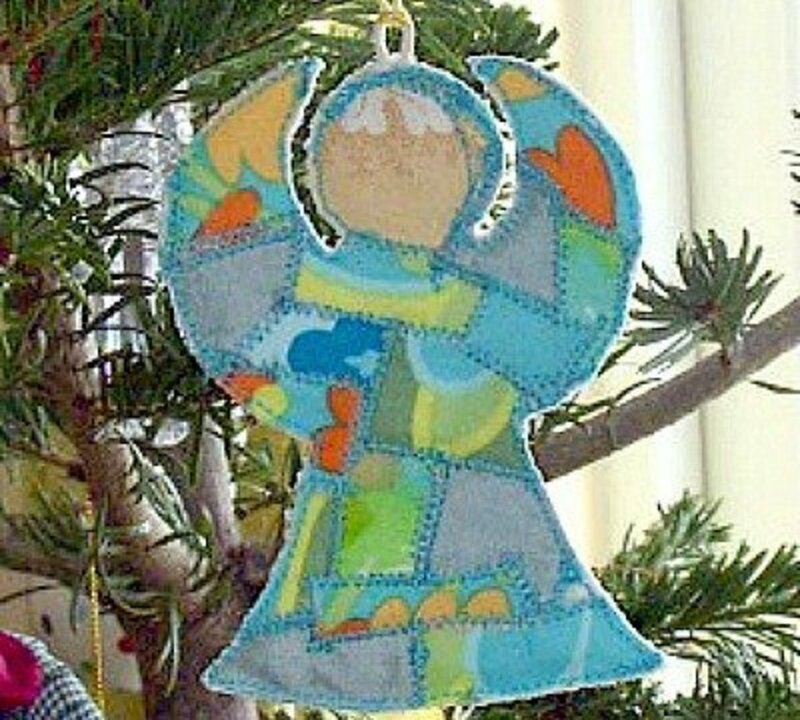 Go to craftown.com to get the instructions for making a patchwork angel. The beauty of this angel is it's simplicity. I can well imagine a Christmas tree filled with these angels. 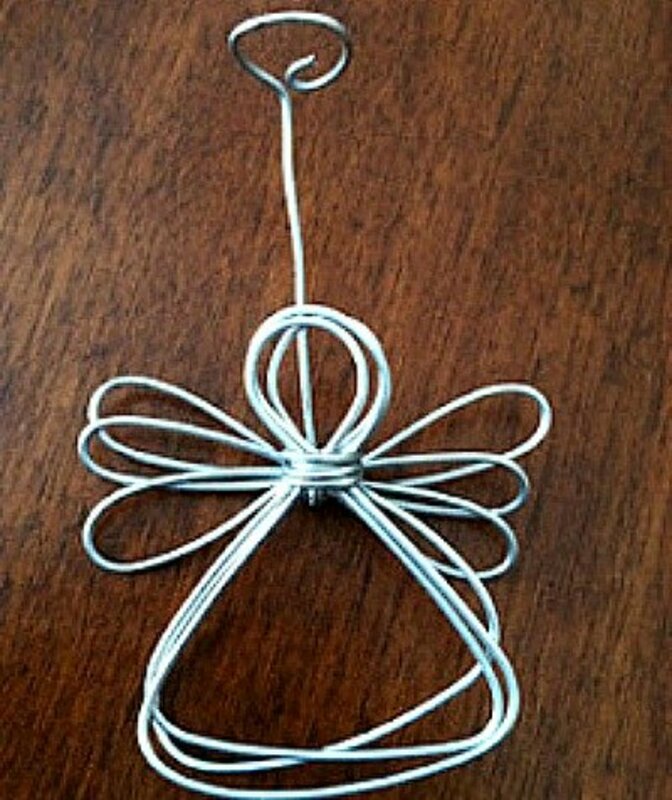 You'll find the instructions for making these spiral wire angels at funEZcrafts. 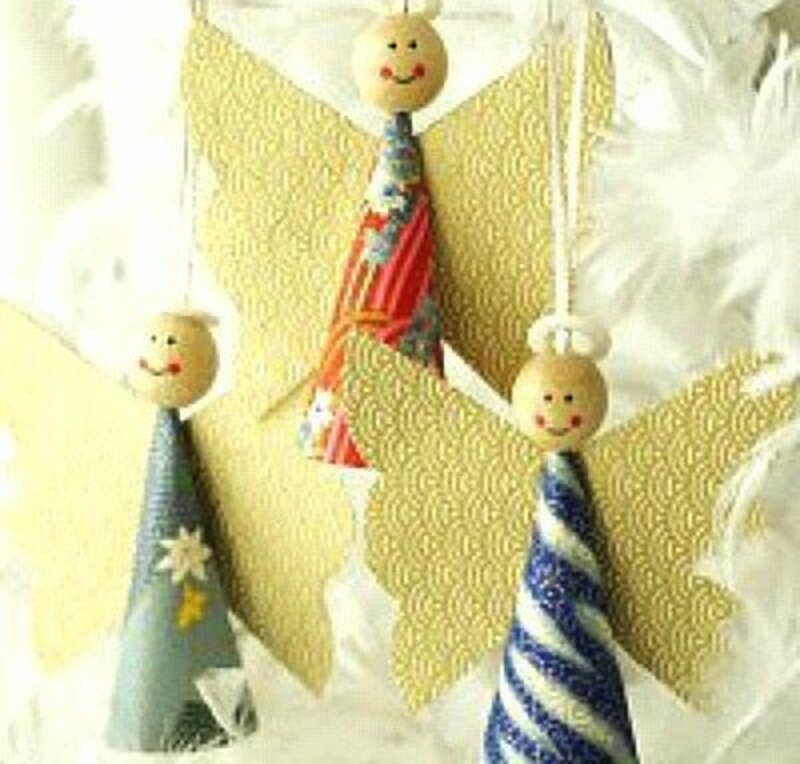 The paper used for making the angels is something called Japanese chiyogami, which I have never heard of. I think you could use another paper as long as it had a bit of weight to it. See this project at Canadian Living, and also the instructions. This is another super easy angel to make. I can imagine using these angels to make a mobile, a garland, a mantle decoration or to hang on the tree. 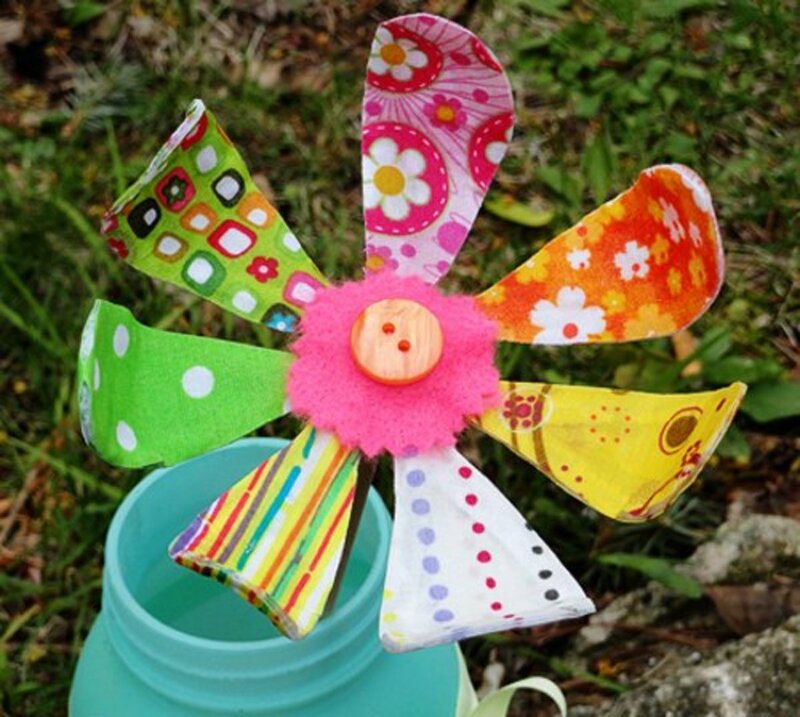 Find the directions for this fabulous craft at funEZcrafts. 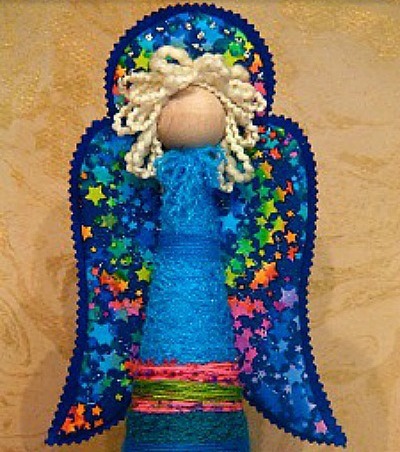 The beautiful fabric and the quilted sewing of the wings make this a very special angel project. Find the tutorial for making this Yarnia inspired angel at Gingerbread Snowflakes. 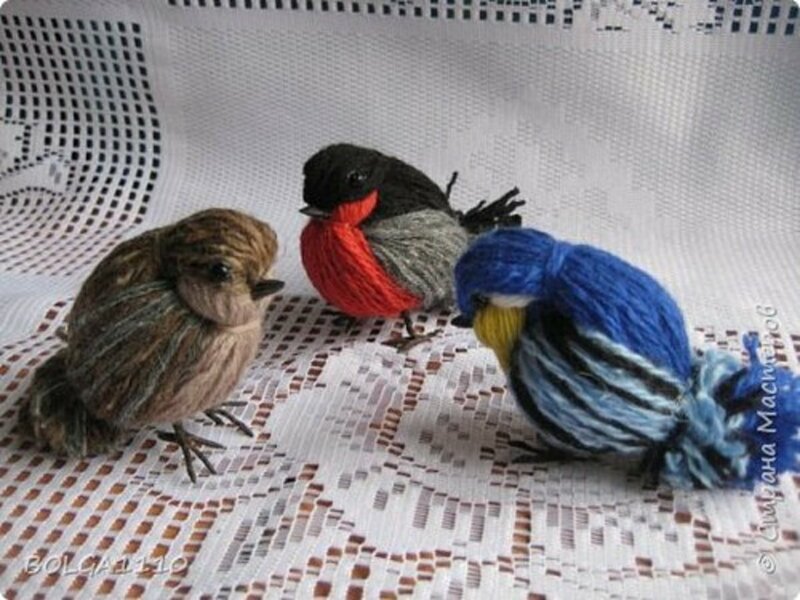 This is an outstanding felt ornament. I can imagine a Christmas tree with an angel theme filled with these little beauties. 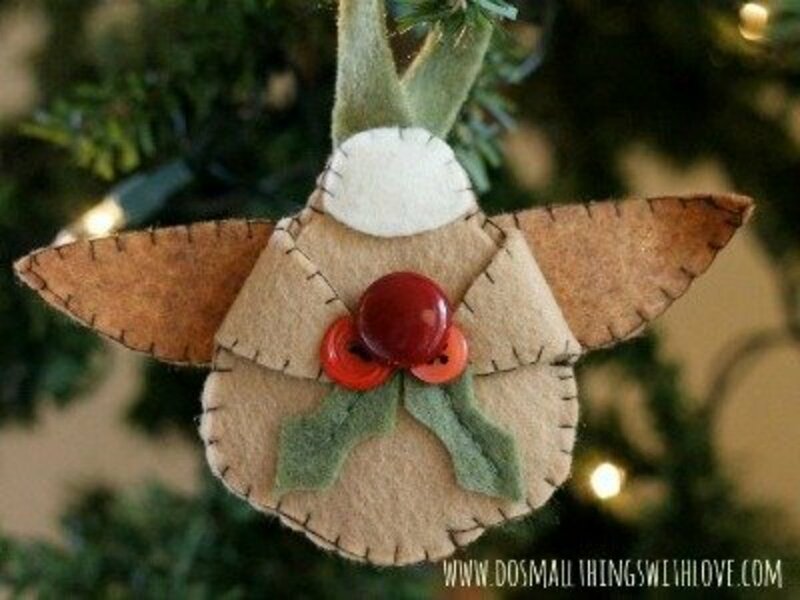 Find the tutorial for making felt angel ornaments at DO SMALL THINGS with love. With the help of the directions that you'll find at DESIGN MOUSE you'll be able to make a polymer clay tree topper that will be the perfect size for your tree. Very good step-by-step instructions given on this site. I can imagine a whole tree covered with these little angels. 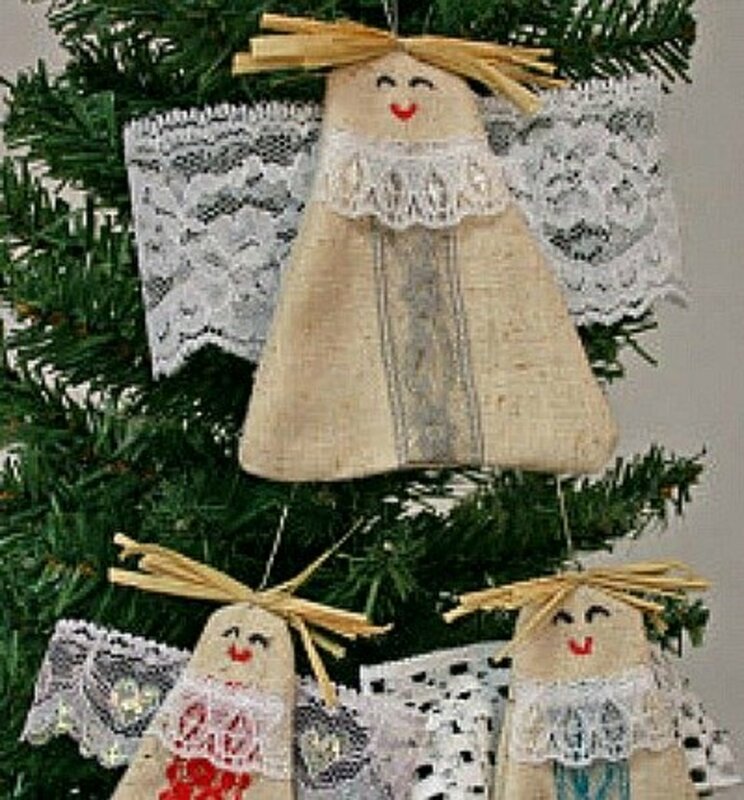 To make angel themed Christmas tree ornaments, use the tutorial at Selimut-ku and some beautiful fabric and felt to make angels like the ones shown above. I've seen and crocheted angels before, but this is the first time I've seen directions for one in flight. Imagine a tree filled with these angels. Go to Crafty College for the pattern. Sometimes you just don't have enough time to start a project from scratch and a craft like this comes in handy. Find the printable angel shown above at JENNY ALLSORTS. If you're like me, you can't read any foreign language instructions. This site, den gode feen has great pictures, so it's easy to understand the directions even if you can't read them. If you need to make a lot of ornaments and you have a limited amount of money for the supplies, this is the perfect project for you. Go to Ginger Snap Crafts for the tutorial. 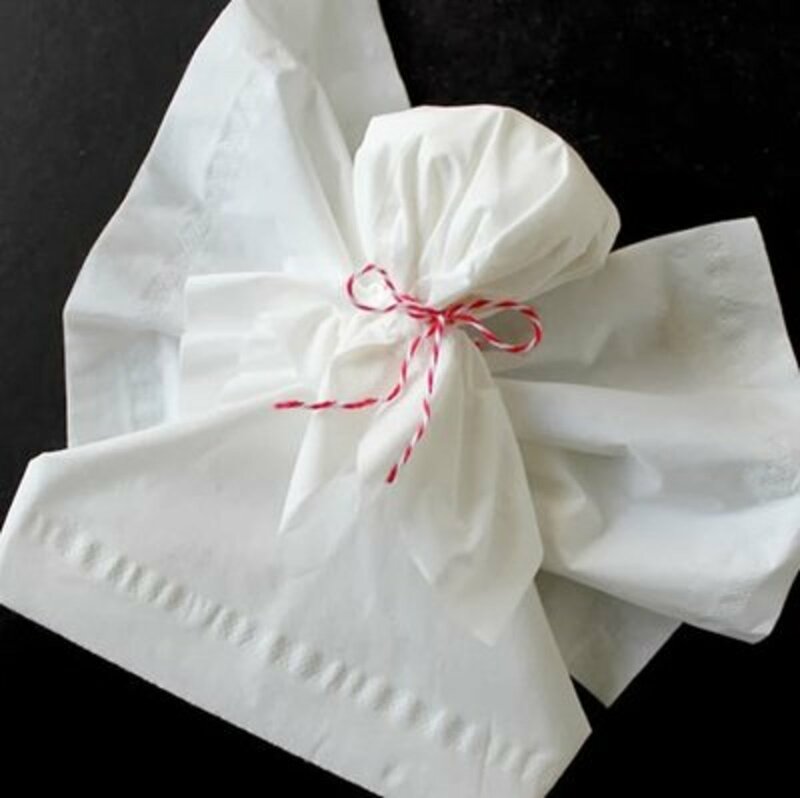 Make these little gold lame' bag angels and use them in so many different ways. 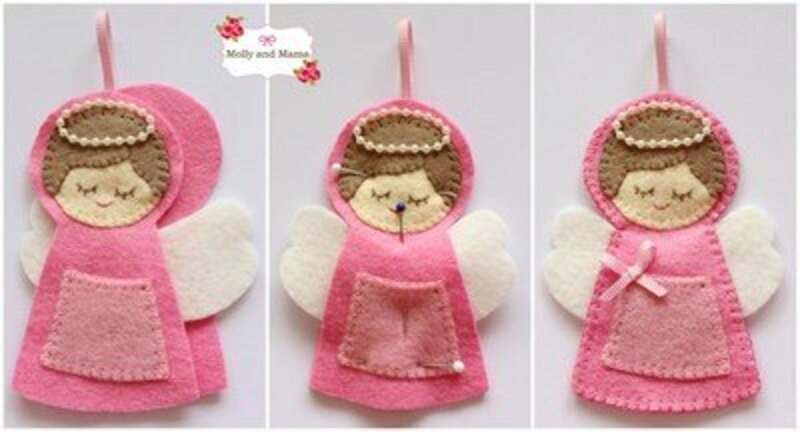 Use the directions and pattern that you'll find at creativ Company to make the angels. Very unique and elegant angels. This would be a great project to do with kids that are learning to use a ruler. The chenille strips are bent at certain places which makes creating these angels a breeze. 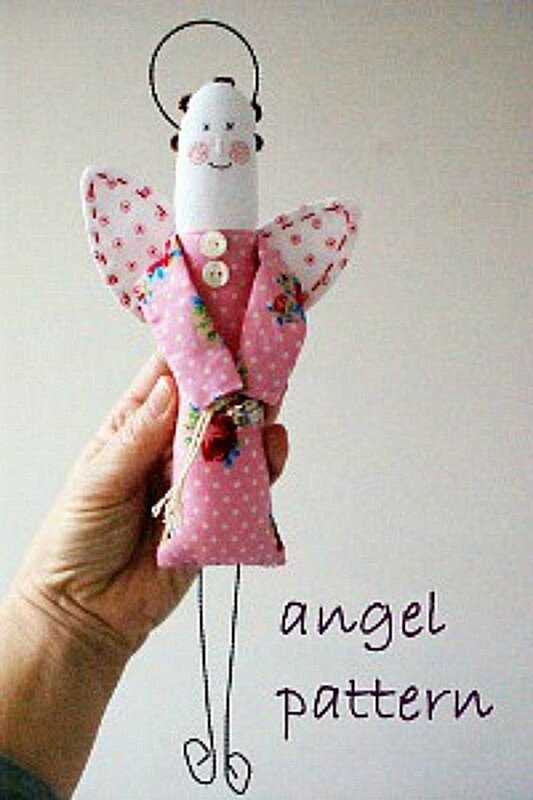 See the tutorial for this angel at funEZcrafts. What a beautiful way to use felt circles. And with the huge variety of colors that you can purchase felt in, imagine all the different looking angels that can be made using the directions that you'll find at funEZcrafts. Can you make them with things that a kid can find in their own house? Just a suggestion! 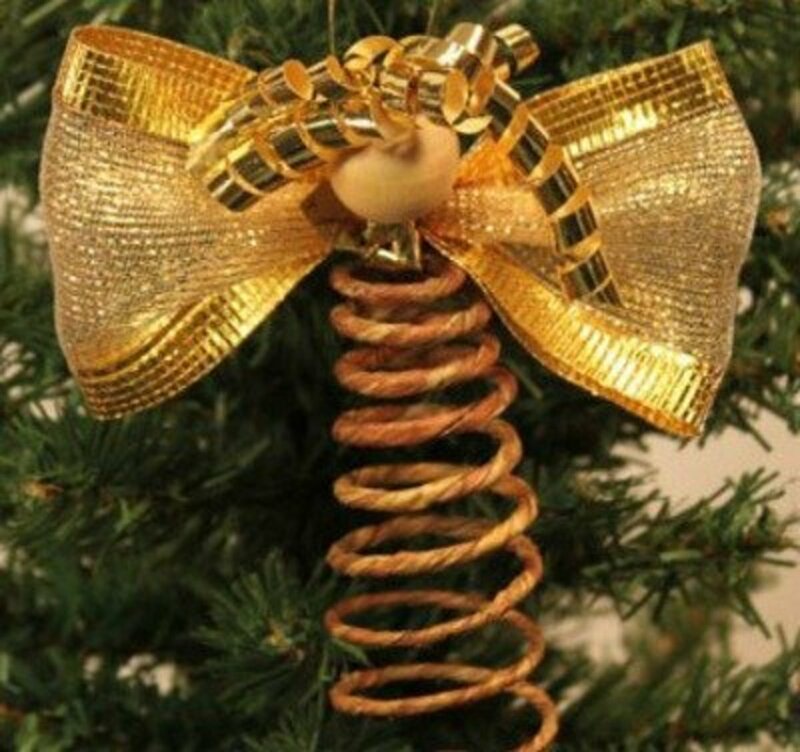 Love the wire ribbon angel. Looks simple enough. Going to try it out! Margarita, I think the best way to save a page is to add it to your Favorites. It's super easy to find that way. That looks great. I really enjoyed your lens. It seems like a great project to do with my kids. Crazy about your "earth angels" ! Great! 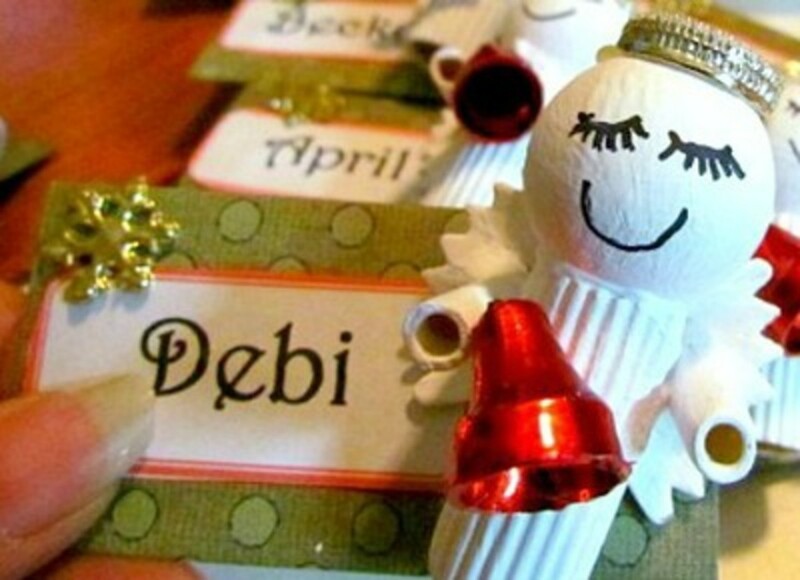 How To Make Christmas Angel Crafts is to attractive..Great work. I love angels and your ideas are beautiful! I like handmade art. Perfect for a white Christmas.